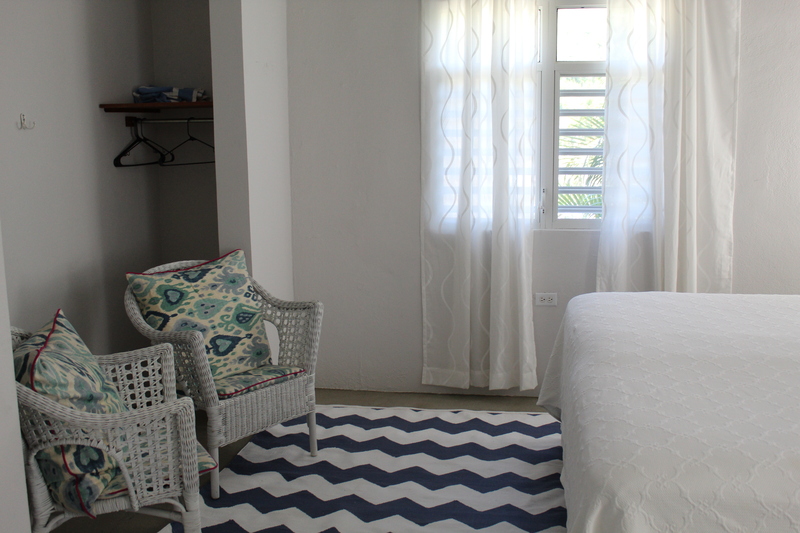 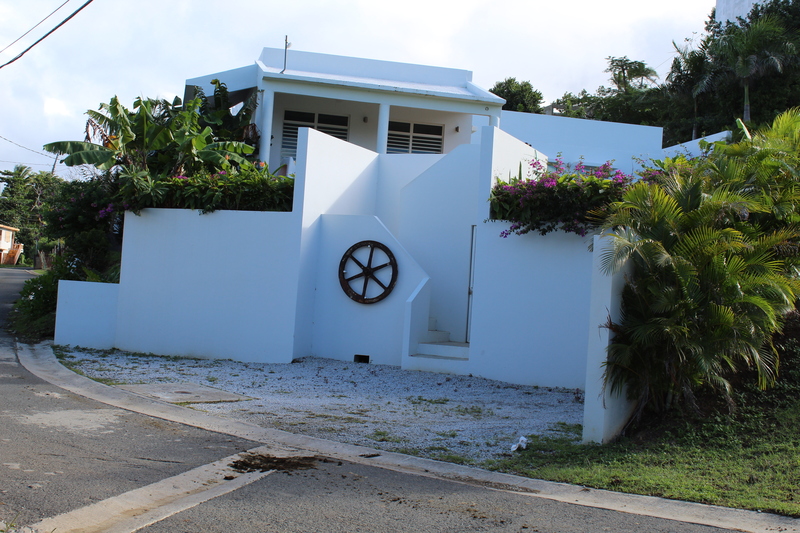 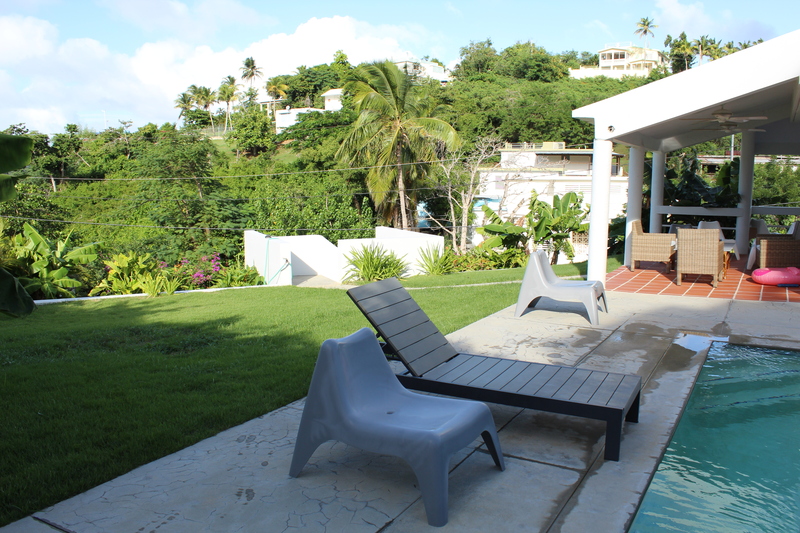 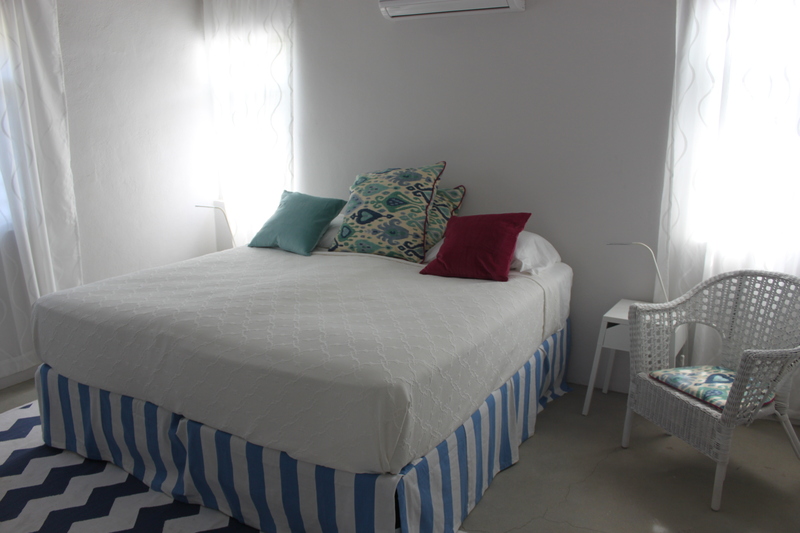 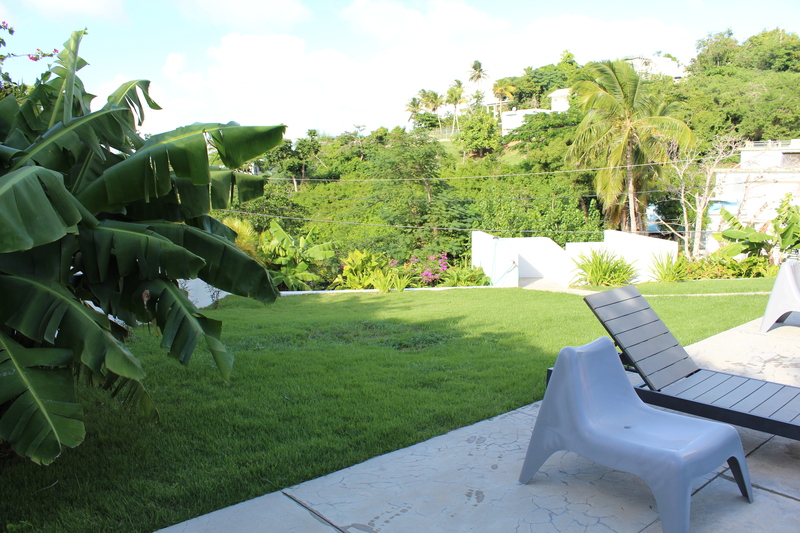 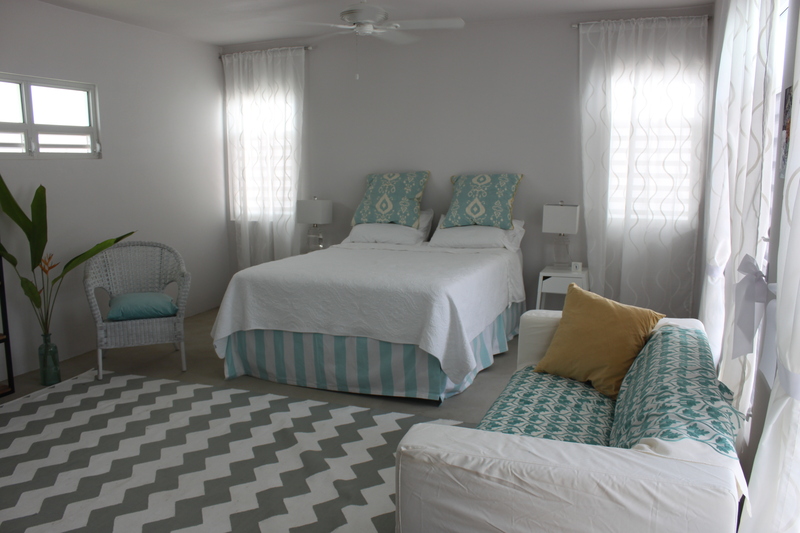 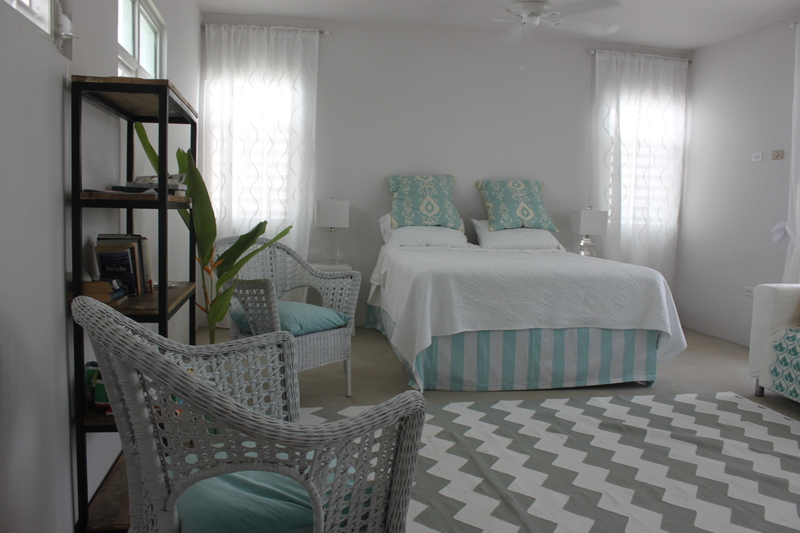 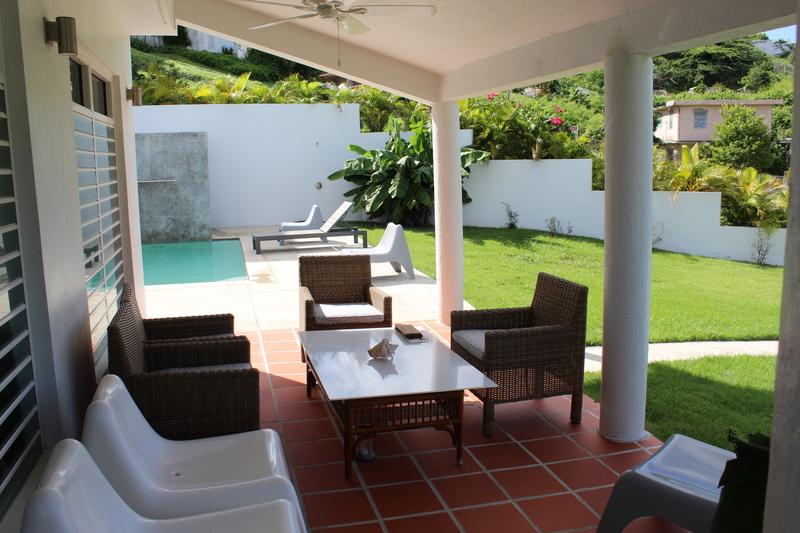 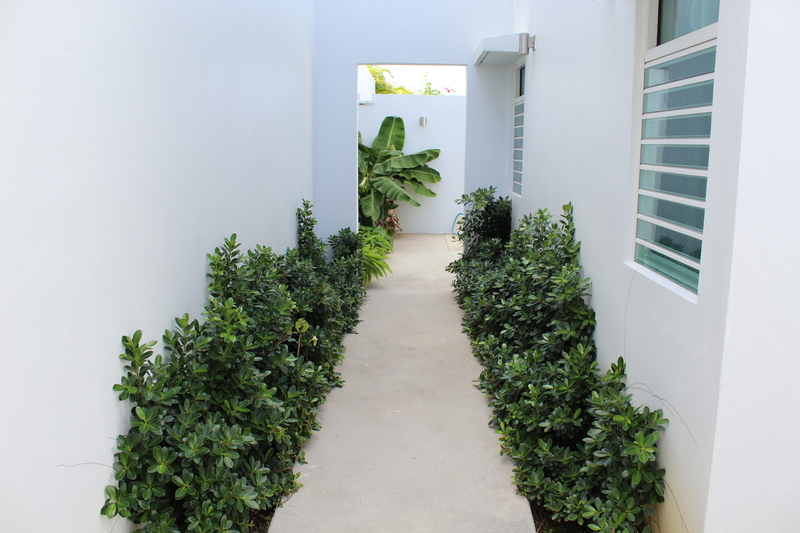 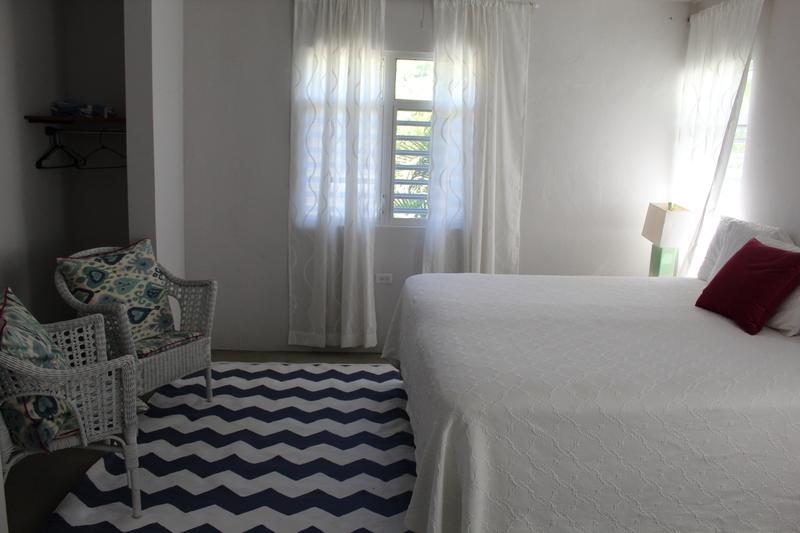 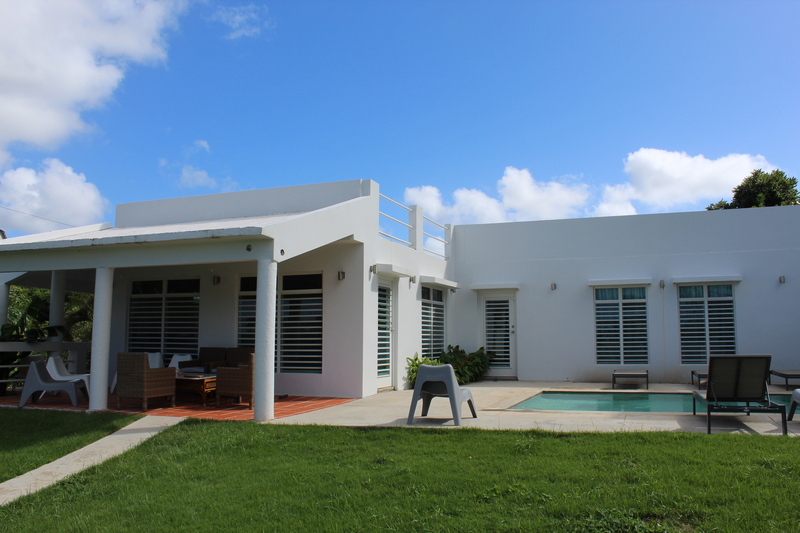 Surf Cottage is located in the well loved beach side neighborhood of Bravos de Boston on Vieques Island. 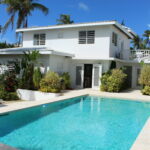 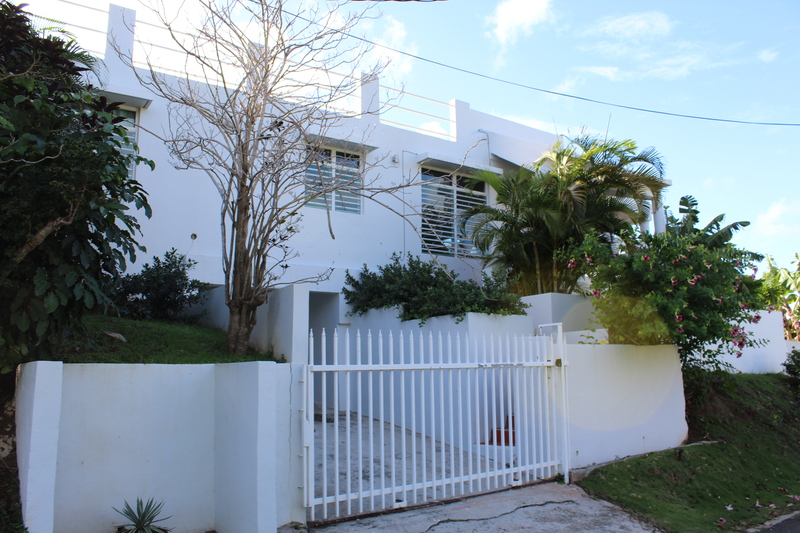 This is the first time on the market for this Jewel Box and is only steps to several beaches. 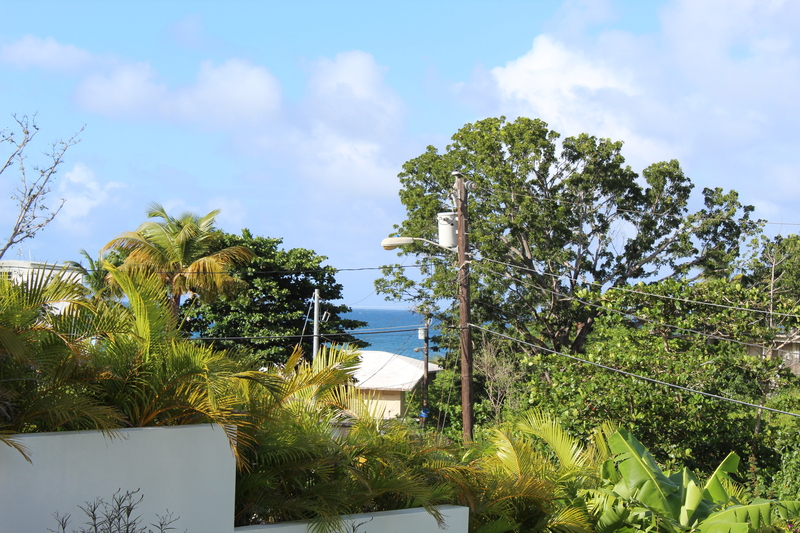 Hear and smell the ocean from this elevated home site catching continuous Trade Winds. 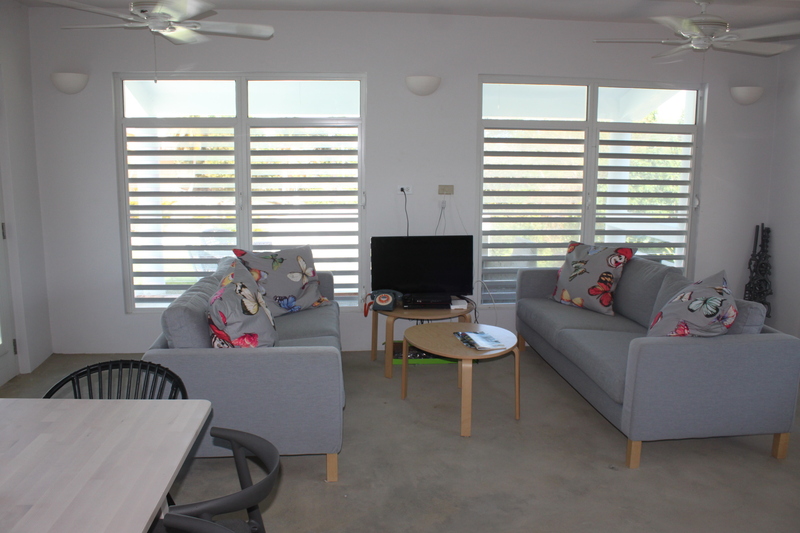 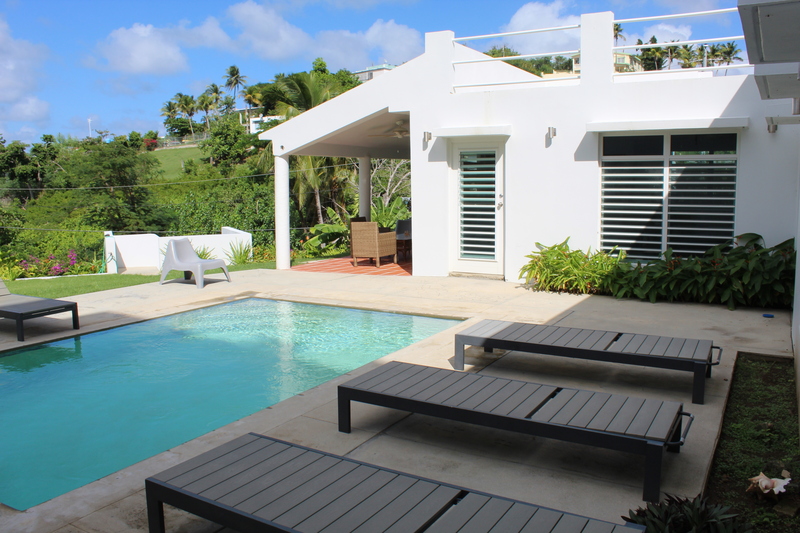 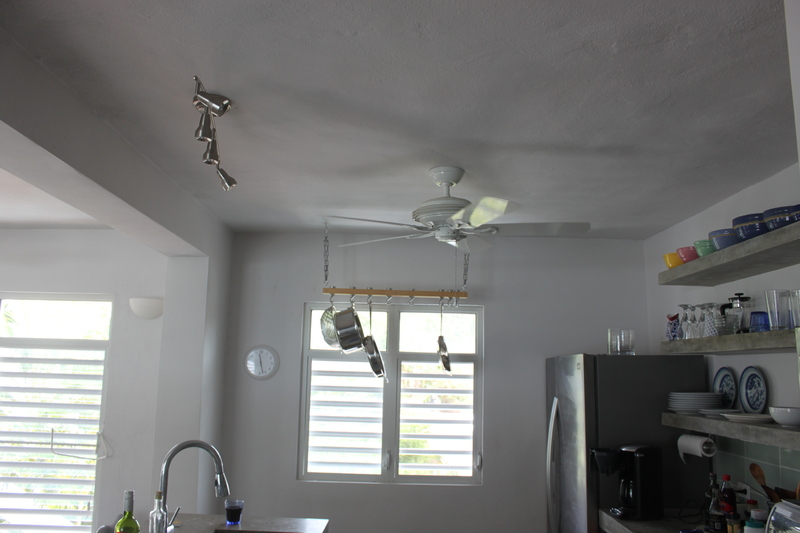 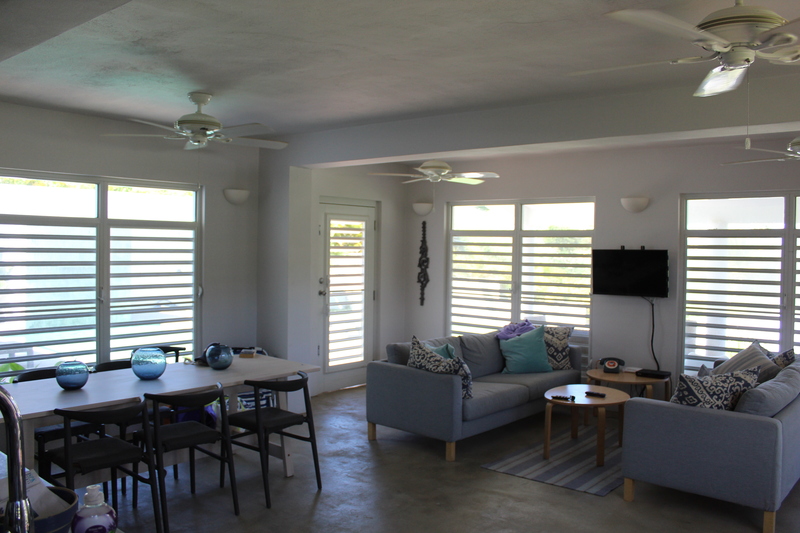 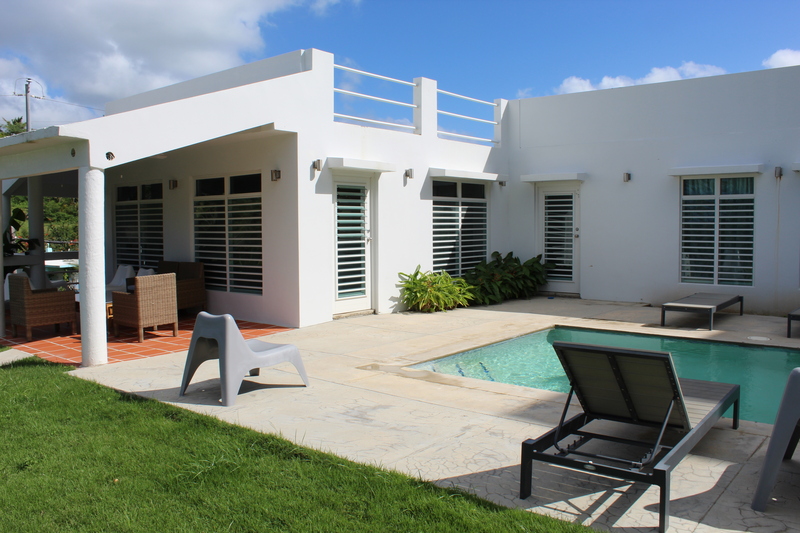 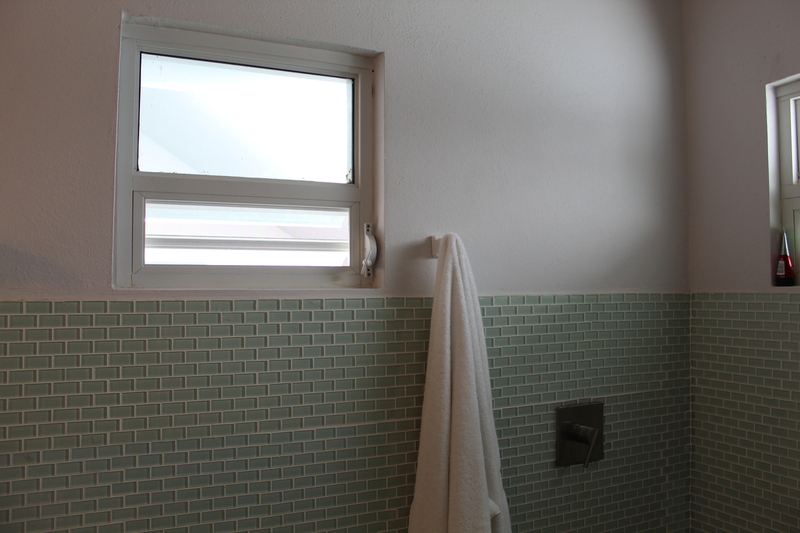 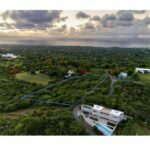 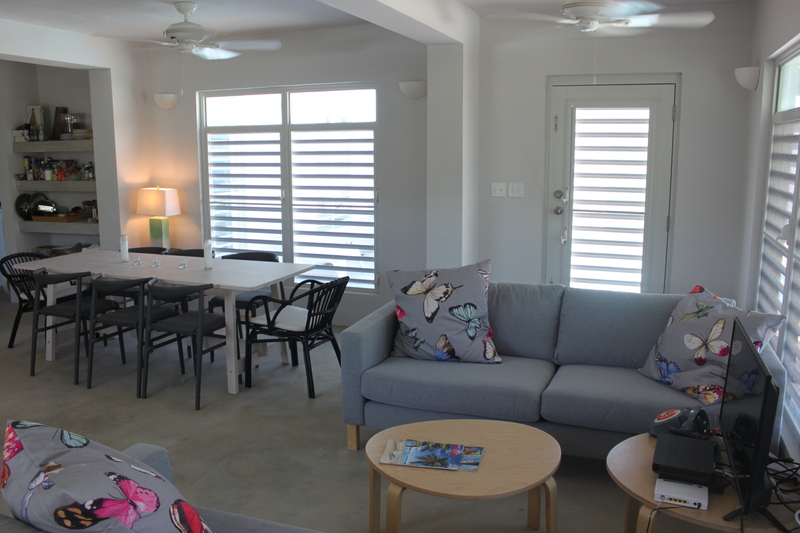 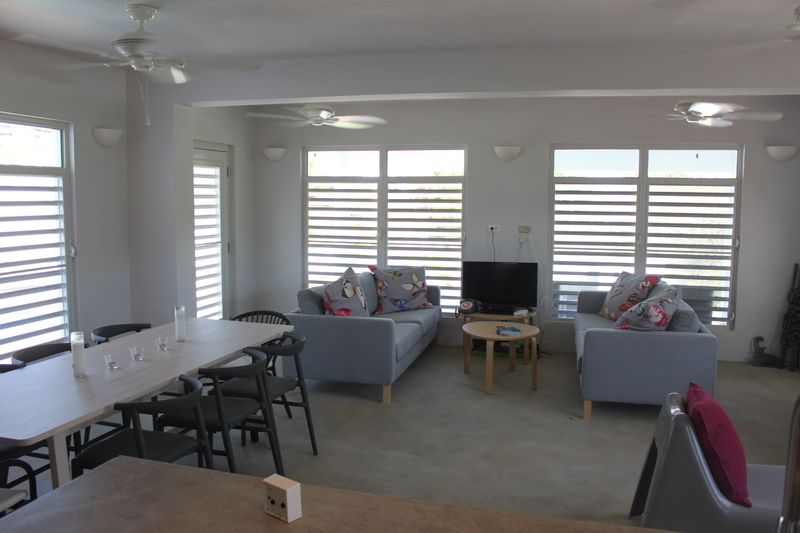 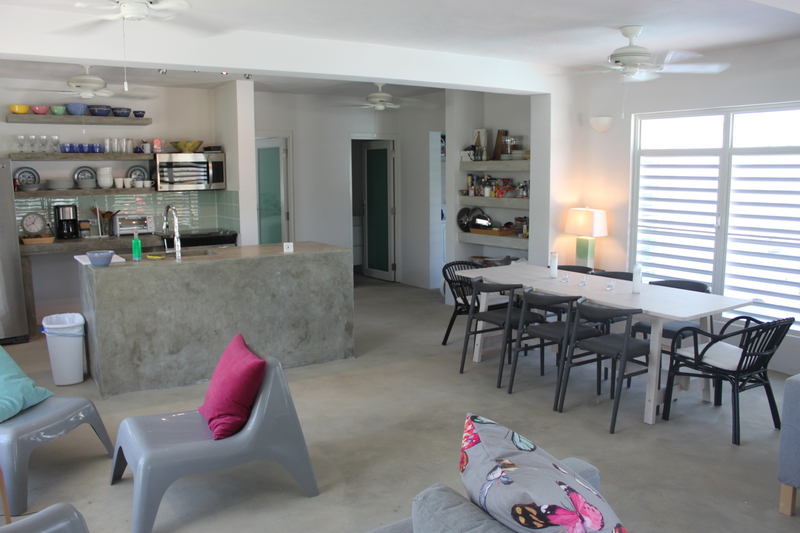 Surf Cottage has a Contemporary open concept layout and exhibits elements of Vieques style architecture with highly polished concrete surfaces and glass tiles. 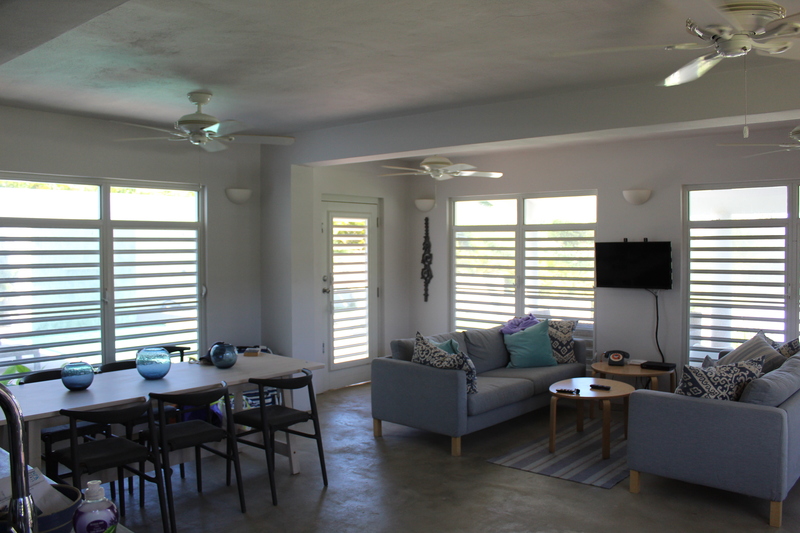 The living room, dining and kitchen feel large and airy all opening out to the private pool deck, out door shower and Tropical gardens. 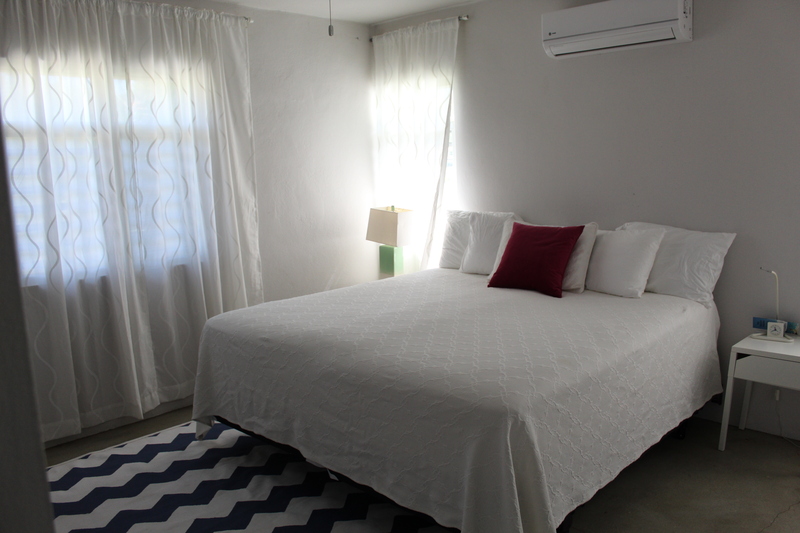 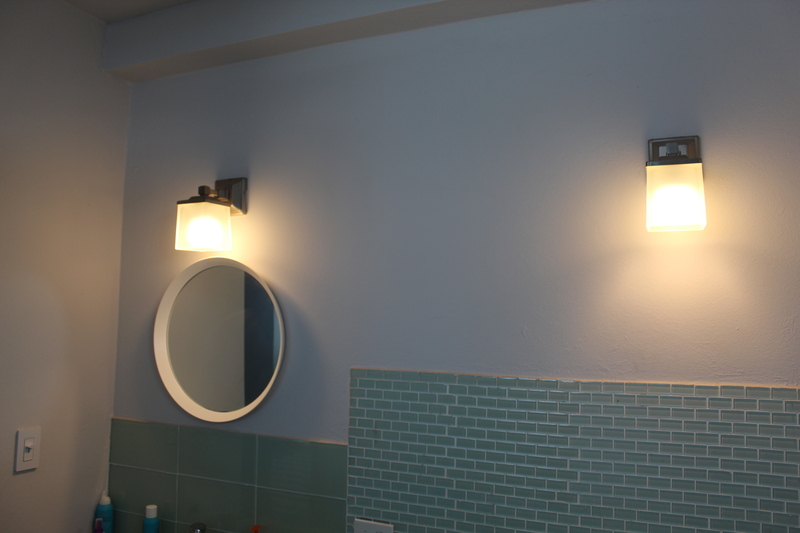 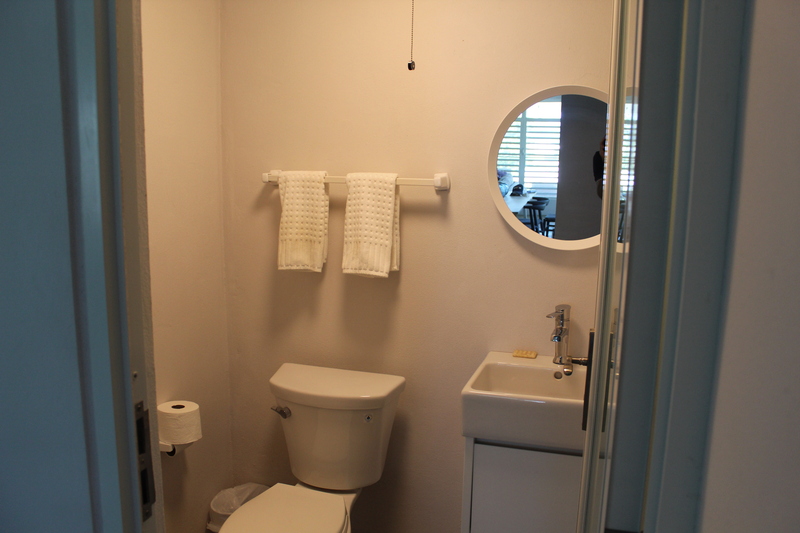 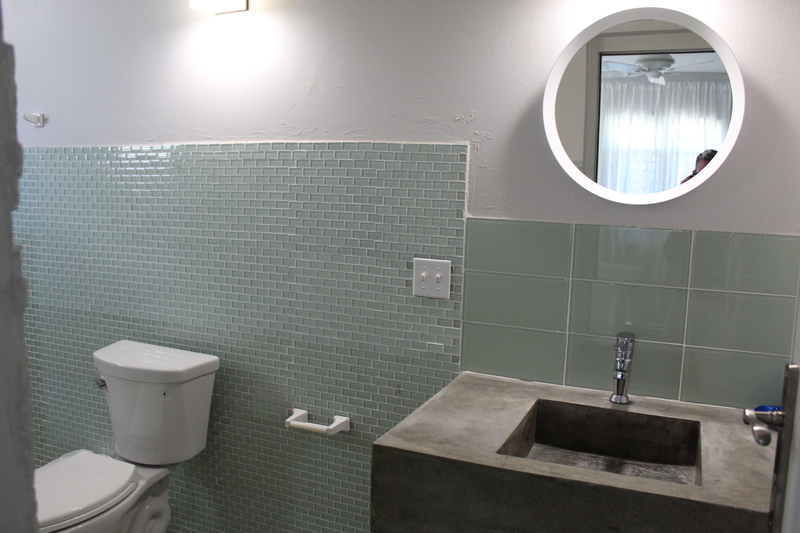 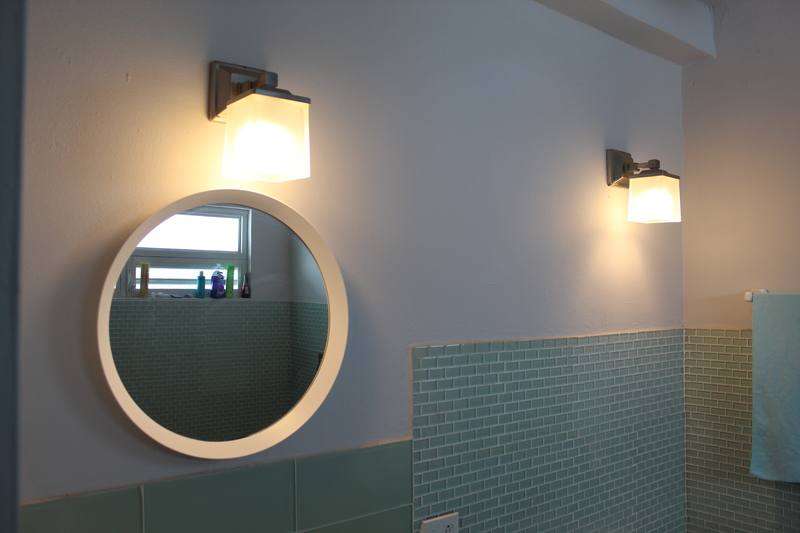 The home features two large master bedrooms with en suite bathrooms. 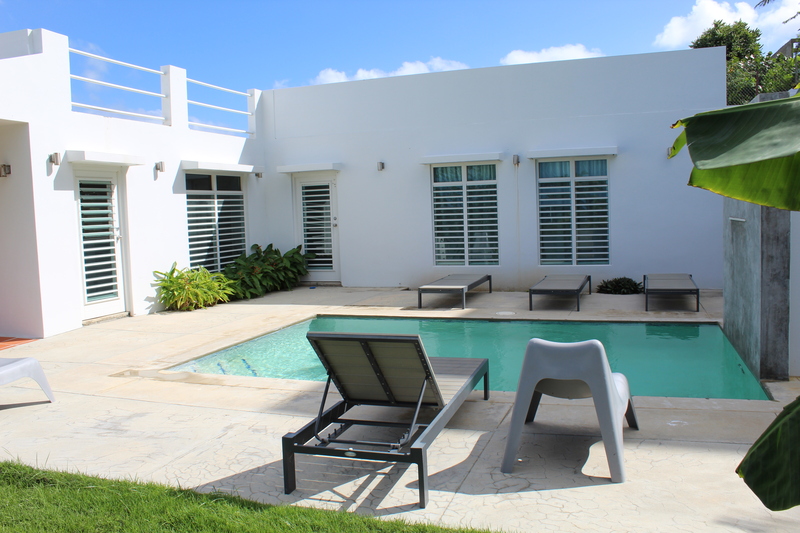 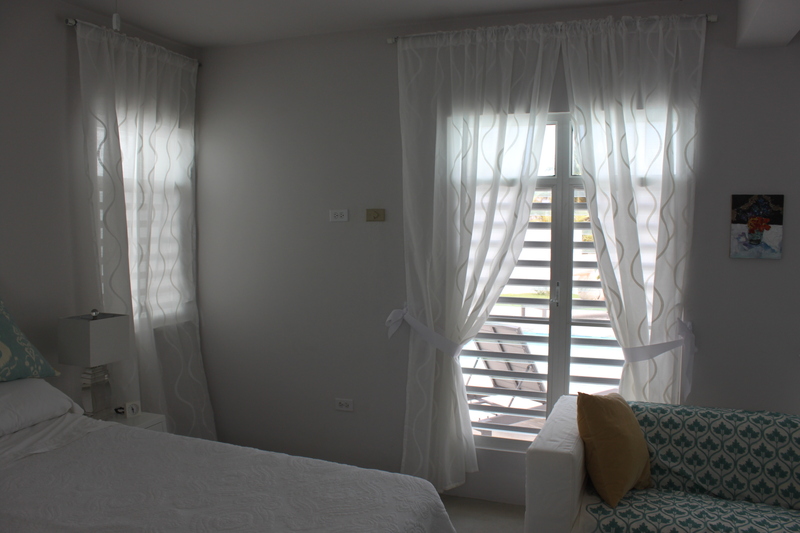 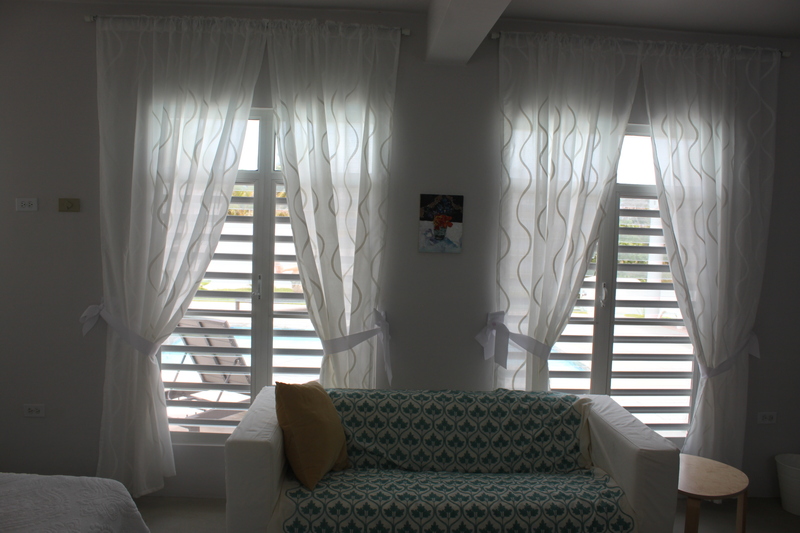 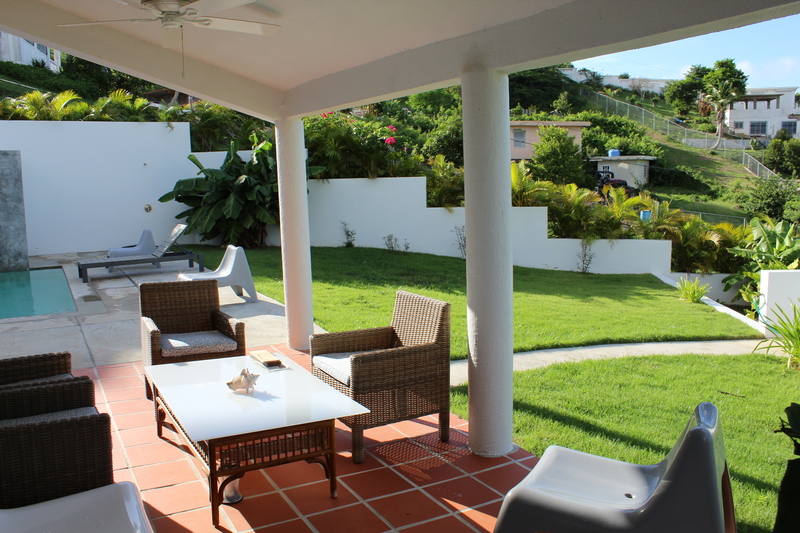 There is an additional guests half bath, a laundry area, swimming pool with gentle fountain and plenty of lounge seating, Tropical gardens, ocean view, and a perfect location. 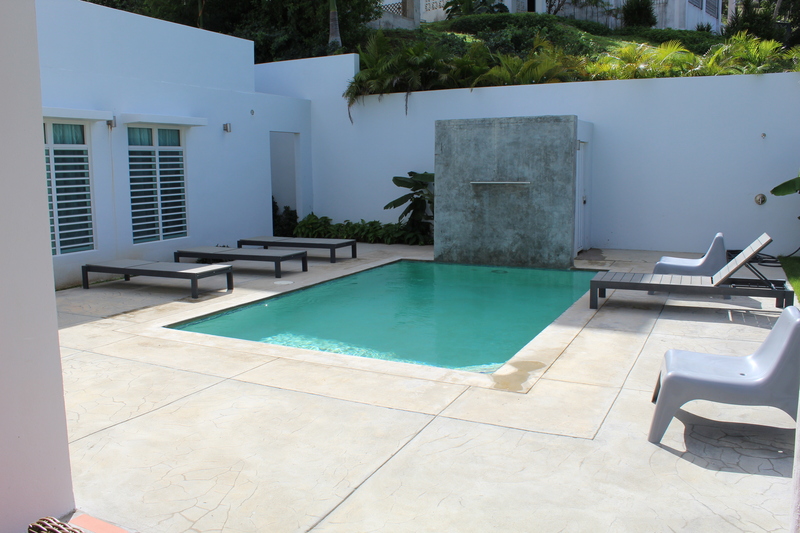 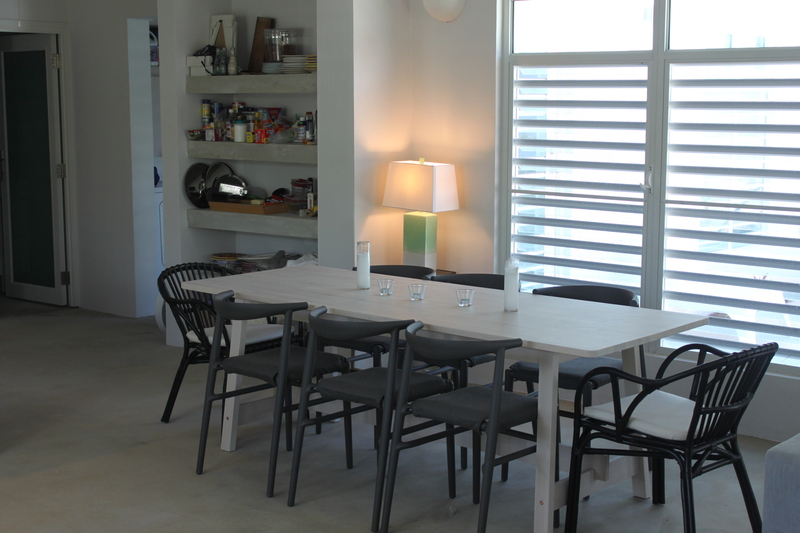 The flooring inside is traditional Vieques style troweled concrete. 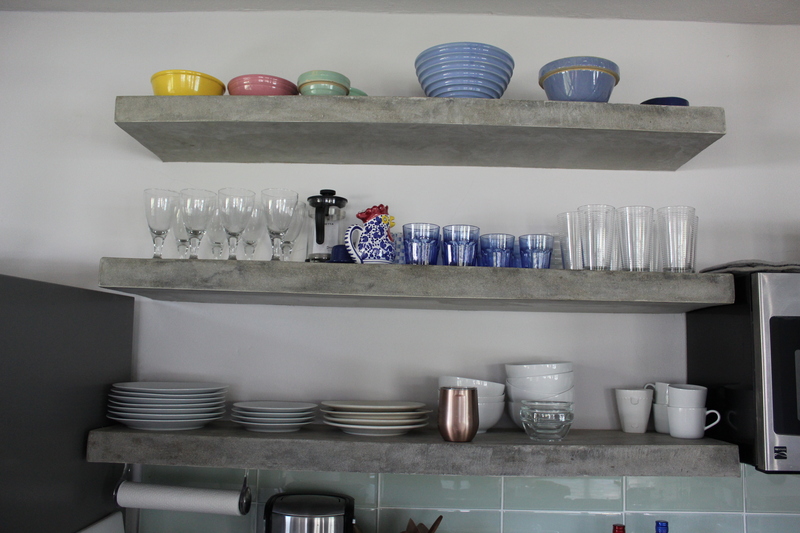 The counters are poured concrete with a multilayered ground process that exudes a warm patina. 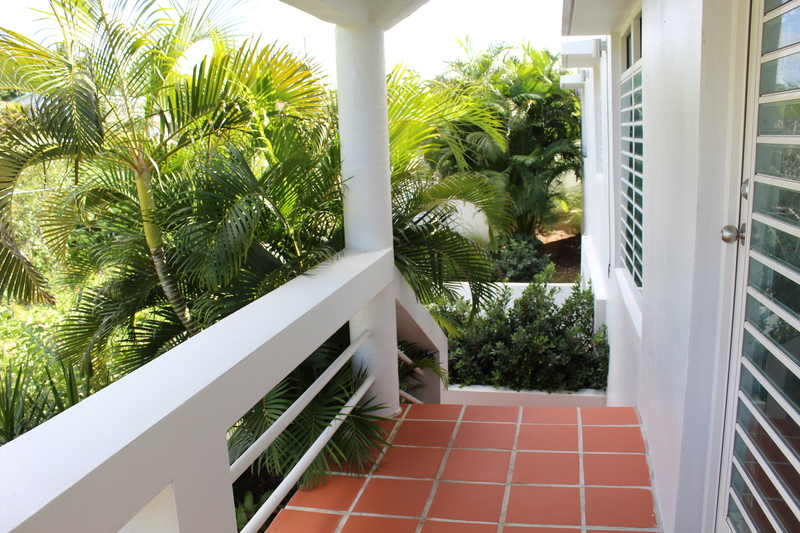 From the internal garden there is a stairway to the roof top terrace for enjoying the breeze and views. 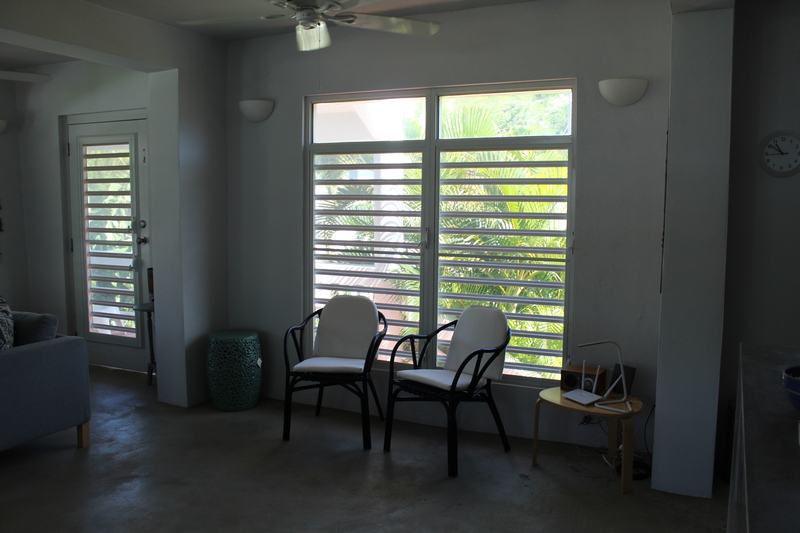 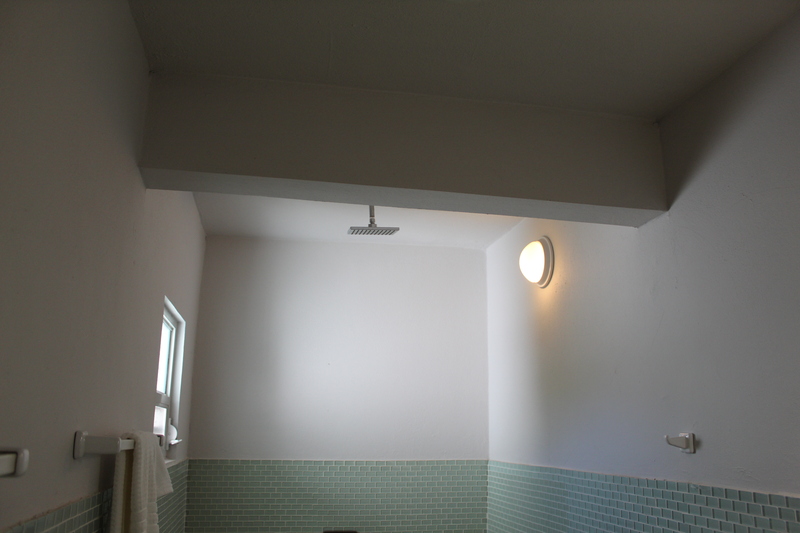 The second floor terrace has plumbing and electric ready for adding a third bedroom or whatever you may want. 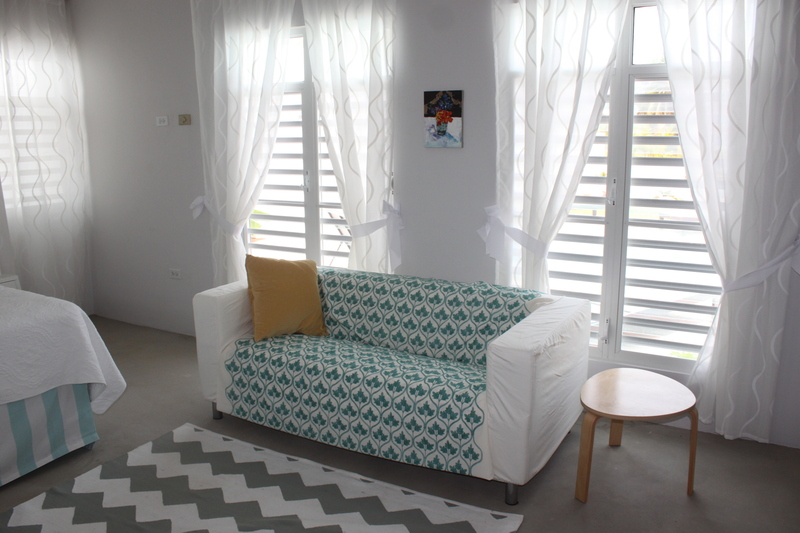 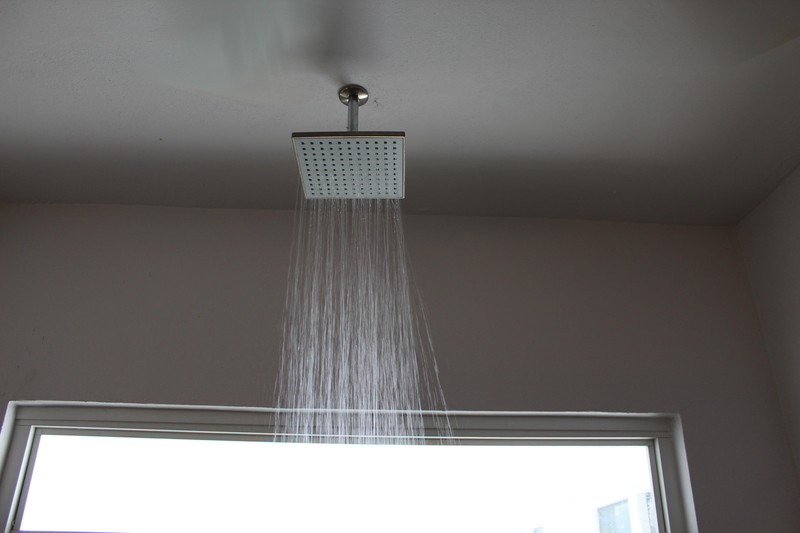 The home is currently being professionally mantained and managed by Bravos Boyz team. 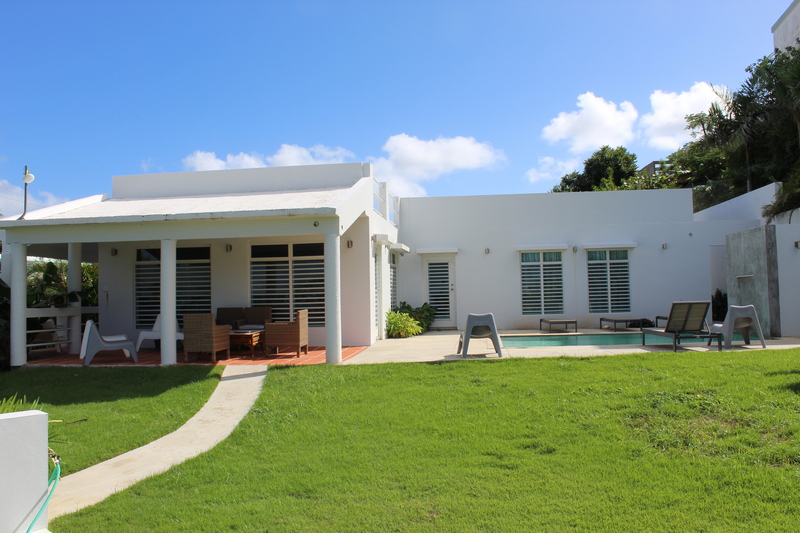 For your exclusive showing of this one of a kind, turn key home call or email Bravos Boyz Real Estate and Property Management.